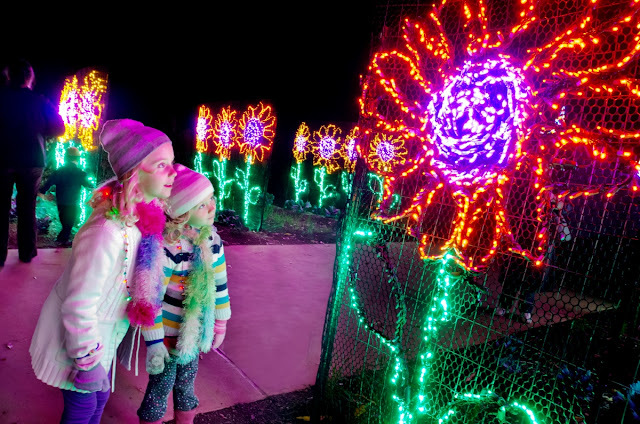 Garden Lights, Holiday Nights not only offers an enchanting in-town experience but also is one of the largest light shows in the country, shimmering more than 1 million energy-efficient bulbs. The show, set for November 17-January 5 at the Atlanta Botanical Garden, will feature almost exclusively LED lights, or special light-emitting diodes, continuing the Garden’s commitment to environmental sustainability. LED lights consume up to 80 percent less electricity than incandescent lights and have a life span more than double that of such traditional lights – five years or more. To further increase energy efficiency, new timing controls allow the Garden to minimize the number of hours the lights are on, providing a large-scale show with small-scale power consumption. 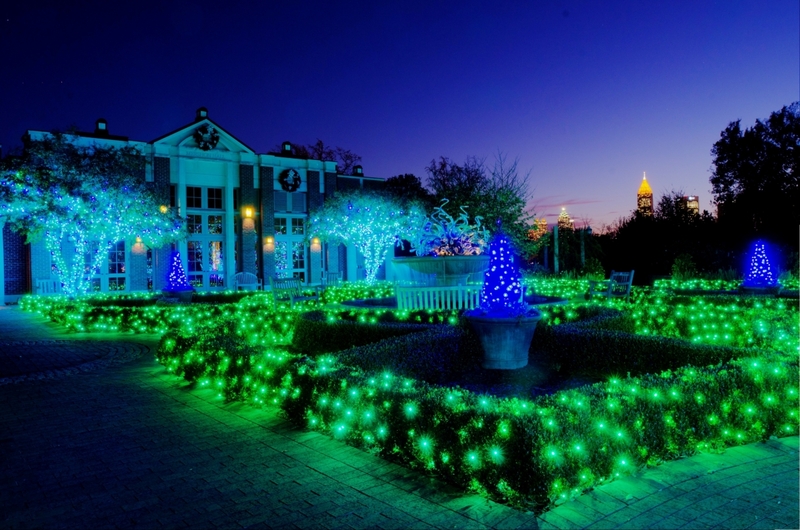 As part of an ongoing partnership, the Garden will use green energy from Georgia Power for the holiday exhibition. 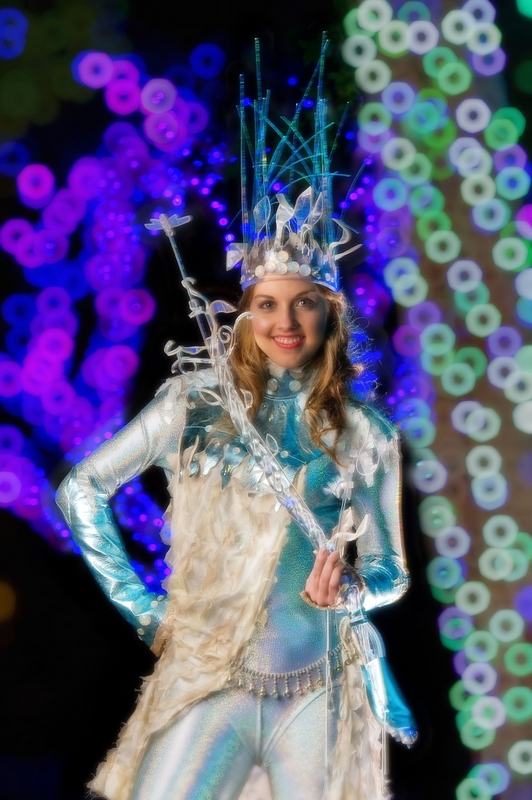 To ignite this winter wonderland, energy produced from renewable resources will be added to the power grid in an amount equal to what the show consumes. Georgia Power’s green energy sources include solar power and biomass, such as landfill gas burned to produce steam for power generation. New sparkling attractions this year include spectacular lighting effects casting an icy cool vibe on the "Liquid Lights" in the Cascades Garden, while the "Starry Night Walk", inspired by Van Gogh's famous painting, features dozens of swirling stars twinkling along the walkway through the camellias. The Great Lawn will once again be transformed into "Orchestral Orbs" - a one-of-a-kind topiary light show choreographed to holiday music. Meet Lumina in person - the mysteriously beautiful sprite who flitters about the Garden spreading holiday magic to children. 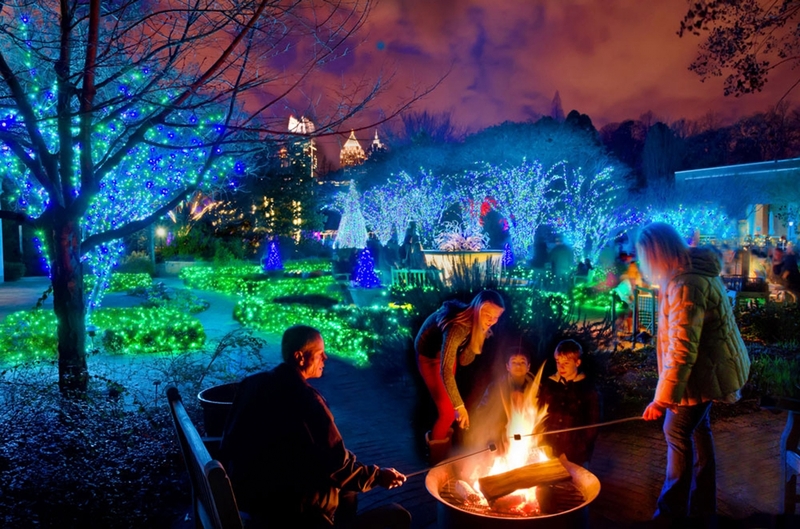 Find enchanting frog elves (frelves) hidden along the paths and look for a bejewled dragonfly, dozens more lighted trees and shrubs in gorgeous colors palettes and plenty of high tech wows throughout the conservatories. 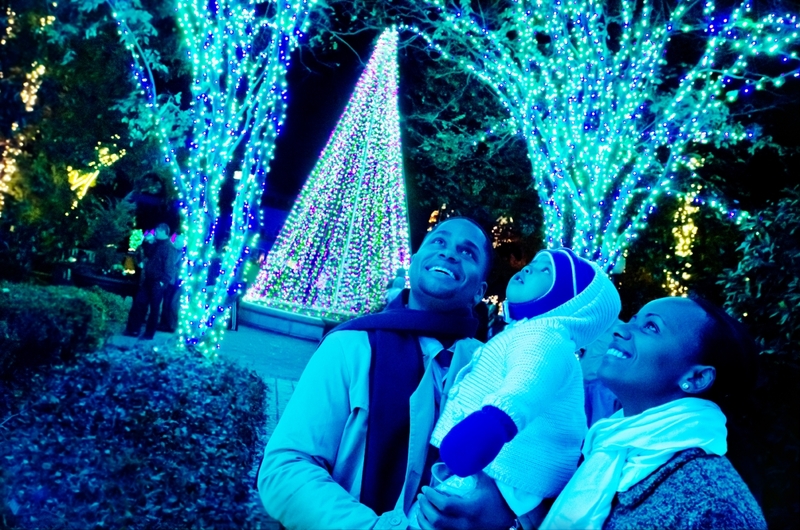 Open nightly from 5 until 10 p.m., Garden Lights, Holiday Nights, presented in part by Georgia Power, showcases enormous botanical-inspired light displays throughout the 30-acre Midtown attraction. 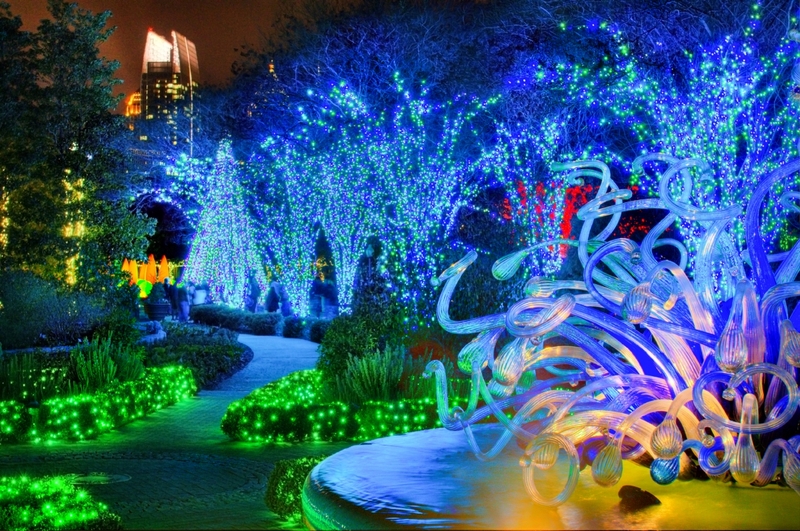 For ticket information, visit Garden Admissions, atlantabotanicalgarden.org or call 1-GLHN-TIX (1-855-454-6849).